Leigh Community Art Group: We Are Open! We are now open every Monday up to Easter. We are closed Easter Monday and any other closure dates will be posted by mid February 2014. We are enrolling new members now so don't delay and come along to give yourself a creative outlet and make new friends at the same time! 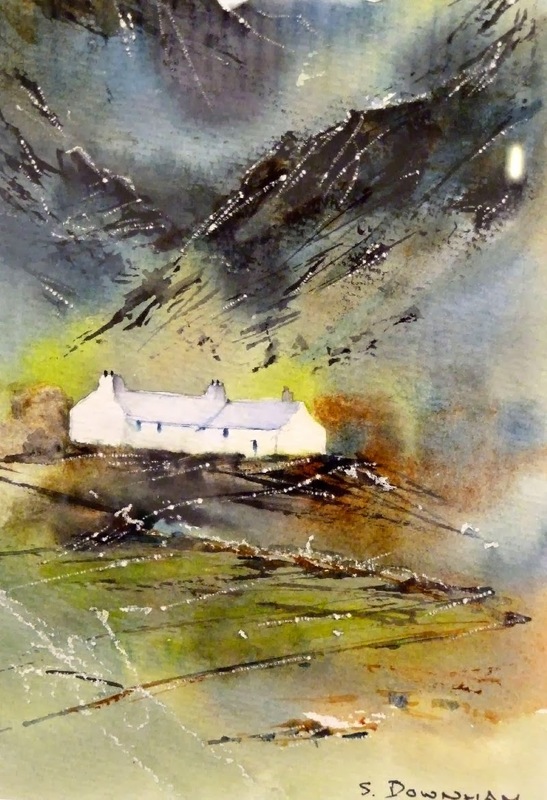 Here is "Lakeland Cottage", watercolour by S.Downham, a club member.